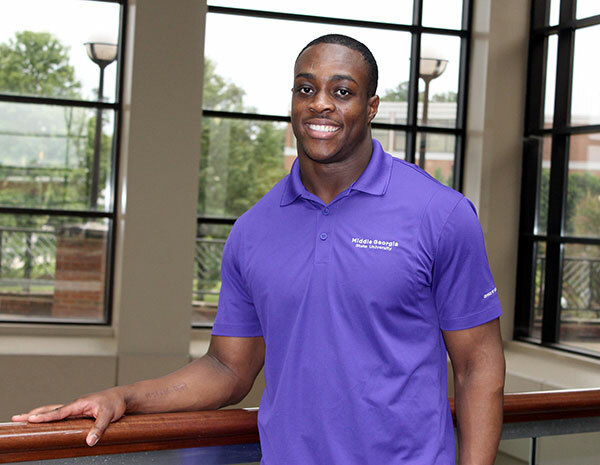 Miguel Carmona, Business major and SGA president, aspires to a career in corporate marketing and philanthropy. Full Name: Miguel A. Carmona III. High School: Howard High School, where he was a member of the football team, BETA, FBLA, DECA, and National Honor Society. Family: Father, Miguel A. Carmona Jr.; mother, Willa M. Carmona; sister, Courtney S. Carmona. Current Employment: Middle Georgia State Office of Student Life. Degree Objective: Bachelor of Science in Business with a Marketing concentration.